A dance originally banned by colonial authorities in the 19th century because of its sexual nature and general challenge to Spanish rule. 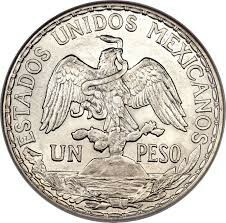 It has since become symbolic of Mexico both in the country and abroad. The dance represents the courtship of a man and a woman, with the woman first rejecting the man’s advances, then eventually accepting them. El jarabe tapatio. Baile folclorico del estado de Jalisco. Ballet Folclorico.